Your wedding is once in a lifetime event and your wedding photographs are the most memorable keepsake of the event. There are various shoots take place in a wedding, every shoot is equally important, there can be no comparison between any shoot. But the most important of all is couple photography. Wedding is about these two people and their photographs matters the most. Moreover, couple photography is about connection, interaction and predominantly – feelings and the connection between two people. And almost certainly those are very deep and passionate feelings, which makes couple photography so ecstatic and captivating. In a couple photography, it is a must that a couple is easy to engage, as it helps photographer to capture the best shots. If the two are shy or uncomfortable then a photographer has to face a bit of problem. That is why it is essential that the photographer and the couple should know each other well. There has to be a comfort zone between them, to make the shoot going. Photographer can involve them in some interaction by asking some personal questions during the shoot like: who proposed first? Where they dated first? Who is more romantic? So on and so forth. Subsequently, the photographer would be able to invoke the couple on a personal and emotional level, getting natural expressions to capture. 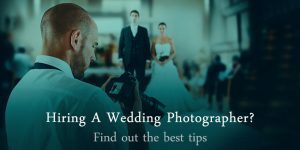 Why Is Couple Photography Important In A Wedding? The heart of every wedding, is the couple and their wedding is all about their story, and wedding photography is about capturing or documenting their stories in one of the finest ways. All in all, it’s about the love and bond they share, reason that brought them to this moment, their intimate moments that will last forever in those pictures, those candid shots. I have literally seen old people making faces while a couple is getting photographed. As the oldies find it unworthy to spend too much of time in couple photography. Well, it is hard to tell them the importance, however, we can’t ignore the importance of the moment and those moments can only be re-lived by any couple through their pictures. If a wedding photography is a means to re-live those moments, couple photography is meant for the two to cherish their love, bond, relationship and wedding all their lives. There’s just something magical about the couple photography, the way a picture is captured and preserved as memories for the lifetime. Reminding you of all the old days, giving you Goosebumps while you skim through your wedding and pre-wedding photographs later after years. All of a sudden you are swamped with the memories of those golden days of your life and the feelings of love start to wrap you around. Whether the couple photography is for your actual wedding or for pre-wedding shoot or for your engagement shoot. Things which are mentioned below matters the most in every case. How well-ordered you are – Firstly, if you want to have a meticulous and flawless photo shoot, make sure you’re well-ordered and organized and have complete clarity of what you are seeking in your wedding or pre-wedding photo shoot. The foremost thing is to hire a photographer who you are comfortable with. Also, it is mandatory that you have your budget clear before finalizing the photographer for your wedding photography along with the attires, props, and locations. For, all these things matters a lot in a photo shoot especially when it is a couple photo shoot. 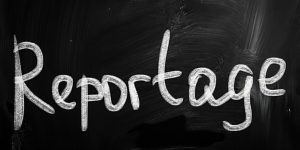 How well you have communicated – Secondly, if you have found out the photographer who you feel comfortable working with, and you know what you want, ensure that you communicate all the details to your photographer. 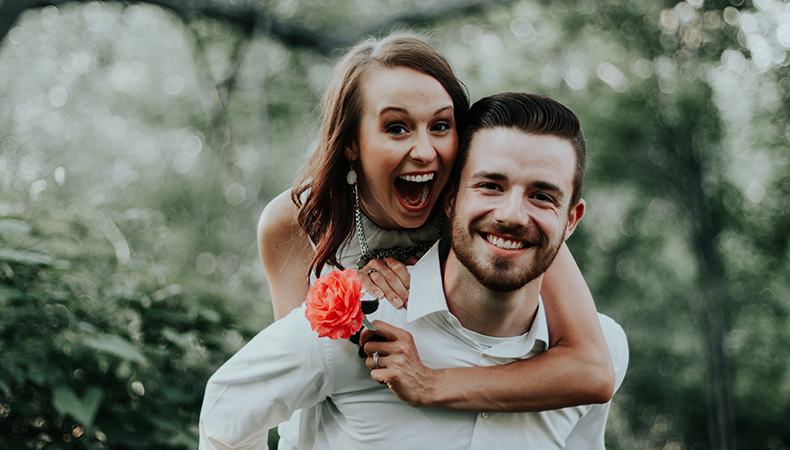 Show your photographer your favorite couple poses, locations, and props- this way you and your photographer can easily get on the same page and the likelihood of capturing your style of photos will be more for your photographer. How well you gel with your photographer– Once you are done with the above two steps, you have clarity on your requirements and have communicated the same to your photographer, ensure that you ask for your photographer’s opinion as well, not only this you value their opinion. Unquestionably, they are the professional. They will be able to know better if there are any problems with your chosen location, or if there are better options available than the ones you have chosen. As long as you trust your photographer, chances of getting perfect shots is there. It is essential that you and your photographer are analogous to each other. How well you have prepared yourself for the shoot – Finally, how well you are prepared for the shoot matters a lot. You two may be a shy people, but for the couple photography you have to be easy going. This will give your photographer an ease and comfort working with you, otherwise things may go haywire. Sometimes, couples are so shy that they get nervous when captured together. This situation mostly occurs in case of arranged marriages. If you think that you are also the one who is shy, better try to create a bond with your spouse to-be very well before the actual shooting is to be held. Try to understand each other. I think you have got enough idea about the dos for your couple photography. Now let’s move to the poses which you and your spouse to-be can try for your very own couple shoot. Here is the list of around 70 couple photography ideas along with the other details to go ahead with. Keep reading!! # 1. Standing face to face – Couple standing face to face, and looking to the camera, her resting an arm on his chest. This shot can either be taken close-up or vertical shot, if you want both it can also be done. # 2. Standing very close – If the intention is to take an intimate close-up, then make the couple standing very close to each other for a close-up portraits. Worry not! Anyways you can zoom in and crop real tight! # 3. Standing with an arm around her neck – For the purpose of capturing the moment, make the man stand with an arm around her neck. Perfect portraiture can be captured of two sharing a bond. # 4. Sitting with an arm around her neck – Equally important pose, get captured while you are relaxing in each other’s company and sharing your thoughts about love, life and happiness. Get a bit cozy! # 5. Standing with his hand on her cheek – How about giving her assurance that you are there for her always. Yes, this can be a beautiful shot of you two while you are just assuring her that you are with her looking into each other’s eyes while your photographer get that moment captured. # 6. Sitting hand on his chest pose – Looking at each other with her hand on his chest, a perfect close-up shot of a moment. # 7. Inverse WE – Couple standing at a distance of 1 feet and touching their head from sides, making an inverse WE (V). As cute as you would have always wanted while dreaming of your shoot with your partner. Face the camera and GET SET GO! # 8. Sitting facing each other drowned in each other’s eyes – How romantic, yet simple shot it would be while you and your spouse to-be sitting face to face and having a beautiful eye contact while you will be captured. Your heart will be flooded with love for each other. # 9. Her chin on his head – You must have seen this shot in many of your friends profile, but believe you me it looks really great, when your Mr. Him sitting on a chair and you standing behind him putting your chin on his head and your hands around his neck. # 10. Leaning her head on his shoulders – Hey, how about having a cute, relaxing yet romantic shot while her head on his shoulders. A perfect picture for the lifetime to cherish. # 11. He and she standing arm in arm pose – More making a simple yet beautiful couple pose another way is to make the couple stand arm in arm or the same can be done while making them sit. # 12. Shoot the couple from the above – No harm in getting a bit creative, here the photographer can find some elevation and shoot you two from above. A commonly shot pose just from an unusual angle is more than enough to reward you with amazingly great couple portraiture. # 13. Walking hand in hand – Shoot the couple while walking hand in hand in a relaxing mode. Such pictures are sometimes great captures. # 14. Walking hand in hand from the back – It is also a lovely and natural pose to capture from back while the couple is walking hand in hand. Pay a nice attention on the movements to capture the shot elegantly. # 15. Sitting pose of couple from the back – It is another easy yet a beautiful shot of all time for a couple photography, where both the two are sitting but captured from the back. # 16. Silhouetted shots of couple – Another way to add the uniqueness to the overall album is capture few silhouetted shots of the couple. For, silhouetted shots make an album complete and perfect. # 17. Sitting cross – legged – A perfect outdoor shot, while both sat cross-legged leisurely as if nothing to worry about. # 18. Sitting cross – legged and her head on his shoulder – She finds immense joy in the moment that forgot that they are being captured and she kept her head on his shoulder. Isn’t it a great shot! # 19. The two walking and talking – Two walking and talking about their lives, is the perfect easy yet a beautiful shot. # 20. Looking at each other – A perfect close-up, when their eyes contact each other in that moment and everything seems still to them. # 21. Him holding her from behind – A must pose, very easy and genial pose with him holding her from behind, while they are looking straight at each other for displaying the warmth and the coziness they share with each other at that moment. If need be, couple can also look straight into the camera. # 22. Him holding her from behind and murmuring how much he loves her – Well, the words which he will say in her ears will not be captured for sure but the expressions upon hearing those beautiful three words in her ear by her love of life will be captured as soon as they will be said. This pose is just a variant of the previous one. Idea is to capture the emotions and feelings at the moment in a portraiture. And what else could be better than this, where he says I LOVE YOU to her and make her shy and the photographer just click it. # 23. His arms wrapping her from behind – A lovely pose, while standing he wraps her in his arms from behind and kept his chin on her shoulder. Great shot to capture! # 24. His arms around her waist and hers around him – A cozy shot while he rest his arm around her waist and she rests her arm around his waist. # 25. He wraps her in his arms – For a cap-a-pie shot of the two the perfect shot is this, while standing he wraps her in his arms, two can face the camera or can dive into each other’s eyes for a perfect candid shot. # 27. His arm around her neck and her around his – Sitting cozily keeping their arms across each other’s neck for a candid shot. A cool, relax shot for an album. # 28. Sitting facing each other at a distance with their feet joined – Yes, two sitting at a distance, facing each other and have joined their feet and hand held by each other. All you need to pay attention is the positioning of hand and leg to have a simple and natural picture. # 29. Standing at a distance and touching their heads from front – Let the two stand at some comfortable distance and letting them touch their foreheads and they are looking down for a beautiful cute couple portraiture. # 30. Her holding onto his back and shoulders – For making another loving pose along with some fun element make her hold him from back on his shoulders. # 31. Romance is a crux of a wedding, and creating a romantic mood in the pictures too will add to the beauty of album, in all. She sitting on his lap with her hands across his neck and he holding her from her waist. # 32. While he kissed her one her forehead – Capture the picture while he kisses her on her forehead, the picture may not be very romantic but the assurance man gives his woman by kissing her is more than words. That shall be captured to make the album perfect photo book. Weather indoor or outdoor. # 33. Kissing a candy – Let couple have their candy in common and capture them while they kiss it together. Pay attention to the movements and it should look as natural as possible. As, emotions can’t be faked. Make sure that the couple is comfortable in poses. # 34. He lying on her lap – Another romantic couple pose is he lying on her lap and she caressing his hair, a great pose of the two. # 35. Click them right before a kiss – Works well, capture the two while he is just about to kiss her. Hardly in fraction of seconds the shot can be taken, has timing mattered in such shots. # 36. She kisses him on his cheeks – Wonderful shot of a couple while she kisses him on his cheeks. # 38. She kisses him on his forehead – It’s her turn to kiss her man to assure how much she loves him. # 39. He kisses top of her head while she sits – Make her sit and let him kiss top of her head while both facing the camera. # 40. Let her kiss his nose pose – A fun filled pose is while she kisses his nose. # 41. Let the two be nose to nose pose – Wow! It’s always a cutest pose in all. Where her and his nose touching and making a perfect cute picture for the final wedding photo book. # 42. Let his cheek feel hers – Yeah, cheek to cheek pose another fun filled cute pose for the duo for their photo book to cherish their romantic photo shoot. # 43. Meeting hug pose – An album of love birds without having a picture of their first hug while in the shoot is nearly incomplete. Make him hug her and the perfect photo is right there. # 44. The two hugging each other – Another hugging photo where the two hugging each other and the perfect moment is captured. Just in few seconds and a wonderful piece is there. # 45. Photo while they lay on their backs – Some photos of the two while they lay will also be an add-on such pictures can be clicked either indoors in the bedrooms or outdoors in some cozy place. # 46. Reading books while lying on stomach – A leisure moment captured while the two are reading books, lying on their stomach, in their bed holding their books. Can be shot indoors or outdoors whichever way suits the two. # 47. He lifts her in his arms – How romantic! Let the guy lift his girl in his arms and her hands across his neck. # 48. Full height shot of the two – Another romantic pose, Can be taken as a silhouette against a bright background, in front of a sunset. Enough to create a calm and affectionate mood. # 49. When the two meet – The emotion and feeling two will have at the time of meeting will be more romantic than having an instructed pose. Don’t miss to capture them while they meet each – other as it is naturally romantic. A nice way to show the affection. These poses works well in a crowded place, maybe a famous meeting point in a city, trains or metro stations etc. # 50. He held her hand on the stage – Perfect couple shot while he held her hand for the first time when she comes on the stage. # 51. The two holding hands on the stage – It’s a proud moment for both of them as they are getting wed-locked, all the emotions, all the feelings of the moment can be captured while they hold each-other’s hand tightly. # 52. Flaunting their diamonds – Ohh! How about flaunting their diamonds, it is commonly shot pose, but believe you me the charm it holds is unbeatable even today. Those wedding rings are precious than anything, let the world also see them. # 53. While their eyes meet first time on stage – Though it will be momentary, but if the photographer is alert and have a great knack, then it is a perfect shot while the two meet their eyes for the first time on the stage itself. The shy bride is perfect. # 54. Their smiles – Captures their smiles in close-up as this is the candid shot to capture in the moment. # 55. 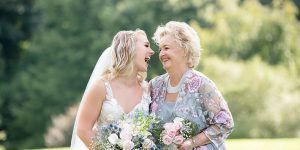 Capture while the two laugh – Laughing couples are the cutest couples and it is the most natural and candid shot for a perfect wedding photo book. # 56. She just teased him on his nose- Capture it, a perfect teasing shot. # 57. He went down the stage to bring her better-half on the stage – Perfectly romantic shot when he went down the stage to bring her to the stage. # 58. The two walking to the stage – Gone are the days when grooms were meant to sit on the stage, now is the time when the couples themselves are more creative when it comes to couple photography. Capture the most romantic shot when they both walk together towards the stage, towards their new journey. # 59. The two when dancing pose – Merrily they dance, and it’s your perfect chance. Yes, capture the dancing couple there and then, you will surely get few candid shots of the moment. # 60. He lifts her while dancing – What a perfect shot! Capture when he lifts her when she was fully unaware of something like this, the expression will be worth capturing. # 61. She whispers a secret in his ears – Most often happens where a bride says something secretly to his groom while on stage. Capture the candid shot. # 62. Their Reflection – If the wedding event is a day time event, their reflections can also be captured to have a perfect shot. # 63. Zoom in – Perfect couple close-ups can be taken while zoomed in. A beautiful bride and a cute groom together in one frame. Wonderful shot! # 64. Only the bride in focus – A must shot, where only the bride in focus and the groom and the background is blur. # 65. While they lead to reception hall – This is to be taken from back when he held her hand and they both walk towards the reception hall. # 66. While the bride make her way to the wedding hall – How can we forget this shot, where a bride is making her way to the wedding hall and everyone’s eye is just fixed on her. A perfect and must have shot for the wonderful wedding photo book. # 67. Only the bride close-up – Perfect bride and the perfect shot for the initial pages of photo book. Have it! # 68. Only the groom close-up – How can we forget the handsome groom, a must have photo of the groom for the wedding photo book. # 69. A full height pose of the couple on the stage – A must have shot of the couple while they stand on the stage and everyone around is just trying to have one look of them. Everything else will feel like fixed to them. It’s not just this. There is so much you and your wedding photographer can do together to make your photo book a creative and memorable album. Next very important part of your photo shoot will be the location. As location is everything! Before finalizing any location for your pre-wedding or couple shoot, make sure that you discuss the same with your photographer too as he must have better ideas to give you. While finalizing your location ensure that the location you have finalized really represents you two as a couple. There are many factors which you need to consider while you finalize your location and the factors are: see where you spend a lot of time together, is there any place which hold special significance to your relationship, the place where you met for the first time, your first date location, location where you had your first trip, the college library where you saw each other for the first time, or maybe the canteen where you shared your first coffee, so on and so forth. You can get as much as creative as you want for your photo shoot and it will give you two the best outputs of the moment. Your location can vary from an amusement Park to a public garden, beach to a mountain, city to country, forest to lake, desert to barn, train tracks to grassy knoll, a crowded town to a serene country side, a café to a sports field, your kitchen to your bed room, comfy chair to your favorite couch, anything or everything you like for your location to be is perfect as long as you two are comfortable. Get going!! Another important aspect of a couples photo shoot is the use of props in the shoot. More often than not, props add fun element to the pictures! Here are some playful ideas which will fill fun and you’re your shoot a memorable one. Props should also be used which represent your personalities well. Like if you are a book worm then book can be a perfect prop for you two to describe well, or if biking is something which you both enjoy together, then bike is your perfect prop. 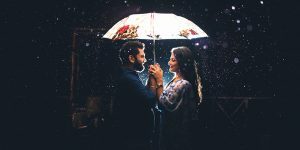 You have myriads of options to use as props if you are in a hilly region for your photo shoot and there is a snow fall then snow is a perfect prop for your perfect shot and likewise. You can choose anything from a bike to balloons, books to guitar, bubbles to bubble Gum, flowers to sharing straws, car or bicycle, your favorite puppy or a cat, swing to fence, umbrella to kite, lights to blankets, chair or your favorite couch, steps to instruments, anything and everything can do for that matter depending on how creative and fun loving you are. For the details no harm in adding some fun props for that little something extra. Choose the props that really personalize your picture and help you display your special relationship well. The perfect picture can only be captured when a couple is happy couple. It becomes easy for a photographer to capture all the details of the moment perfectly when a couple is happy, cheerful and joyous. As the entire photo shoot revolves around the couple itself. Remember, nobody can fake the expressions, emotions and feelings for that matter. The great picture can only be differentiated from a good picture when even the minutest details are taken care. Also, don’t hesitate to have a detailed photo shoot. Just simply Do It! You have motley of options now to select from, you can choose poses which you feel you are comfortable with. Your photos are asset for you to cherish these romantic days of your life even after many years of the shoot. Be enthusiastic and cheerful! Just go for a photo session with your love, you will love that you did! Additionally, be yourself and just be yourself, that is. Be funny, be quirky, be joyous, be giddy, be gawky, make out, lean, love, laugh, smile, jump, dance, kiss, hug, caress, and cry, be whoever you want. All in all, be YOU!! Finally, you have all your pictures with you, make sure that you choose the best one out of all, for your photo book. As, not all are meant to be printed for your final album. There are so many people who are happy having soft copies of their photographs, but you make sure that you get your favorite pictures printed. Don’t worry albums are assets and not the wastage of money. No matter how advance the technology goes, wedding album has charm of its own. Technology can go obsolete but your photographs. Your wedding album is the best way to have a memorable asset of your wedding which you can cherish anytime in life even after many years. Not only this but also your generations will witness your big fat wedding photographs for years. You will love your decision that you did it!